Your holiday just a few steps from the old town of Pienza, with an amazing view over the Val d'Orcia. 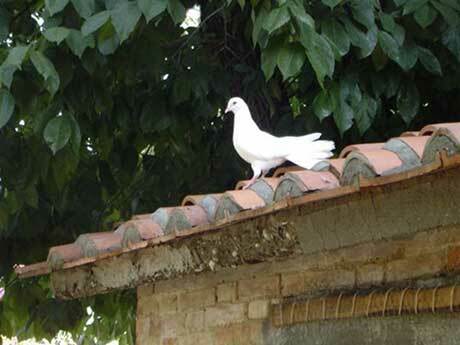 Lucia and Maresco welcome you in their house offering you a fully relaxing holiday in Tuscany. 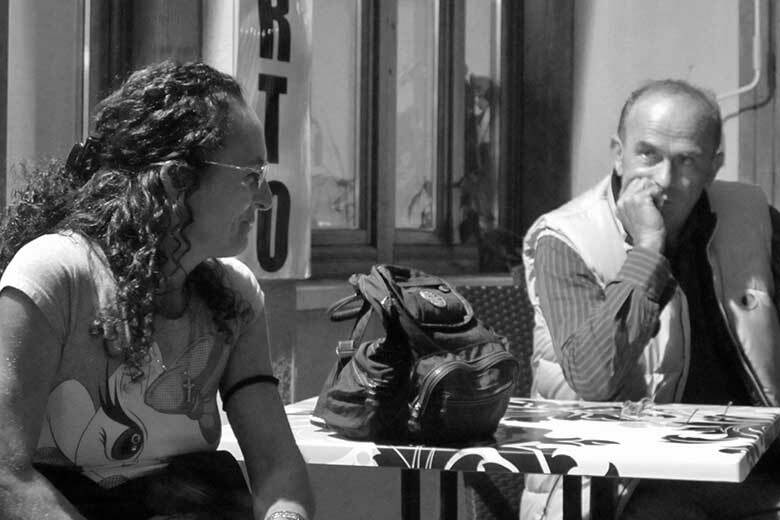 It was our best holiday experience in Tuscany. It was peaceful, clean and the view absolutely stunning, breakfast was delicious and Lucia, the owner, always kind, willing to help and available. The farmhouse is charming: the flowers, the furniture, everything full of character. Family run farmhouse with stunning views over the Val d'Orcia. The farmhouse Colombaiolo is 500 metres from Pienza along the road that from the town of pope Pius II leads down to the Val d'Orcia (Pienza and the Val d'Orcia are both Unesco world heritage sites) and 400 metres from the church of Pieve di Corsignano. In a wonderful position, it offers its guests an amazing view over Pienza and the Val d’Orcia with Monte Amiata in the background. Colombaiolo is a real farm surrounded by 30 hectares of land with olive trees, vineyards, wheat, grazing and gardens: the best way of appreciating this fertile and rich land. 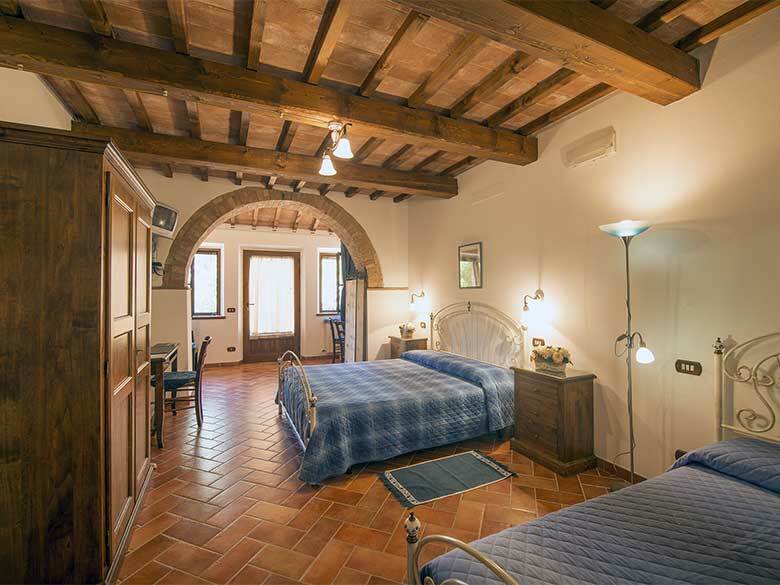 The rooms are bright and spacious and all furnished in traditional Tuscan style. Each room is equipped with every comfort to ensure you have a relaxing and comfortable stay. For more information and to book your holiday in Tuscany at Colombaiolo please send us an email. In the heart of the Val d'Orcia, UNESCO heritage site. 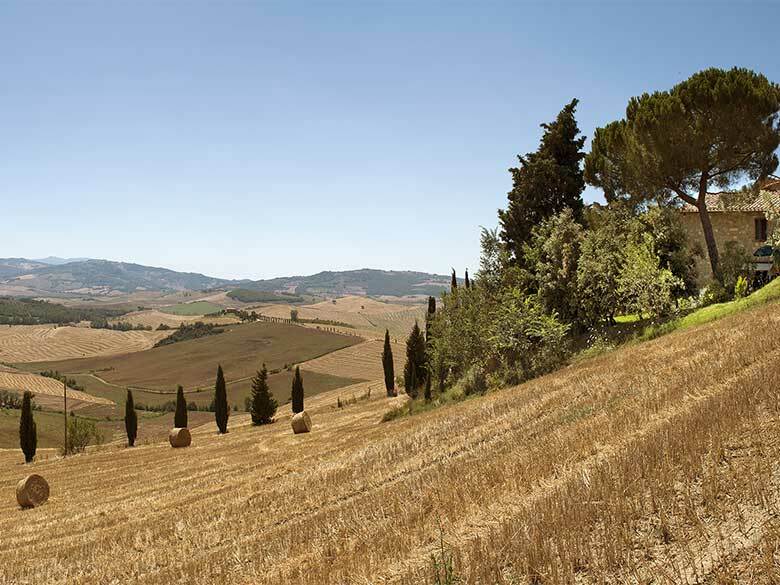 "The Val d’Orcia is a unique example of how during the Renaissance the landscape was remodelled with the purpose of conveying the idea of good governance while creating an aesthetically beautiful image”.